16 so far which is about average for me, I will hopefully have read more than 30 by the end of the year. Hello. Welcome. I love your country. My grandfather is from Palermo so I have a small connection. Do you have a favourite book or author? I am a Man and I really enjoy the Brontes. I Believe all of them are very good. With Emily being one of my very favourite authors ever. Strangely however I cannot stand Jane Austen in contrast. Obviously I am happy for those who can enjoy her work but for me she is almost unreadable. After very careful deliberation I have come up with this list. In order of birth. i have written the dates from memory so some may be a little wrong but I apologise for this. Emily Bronte (1818-1848) Jack London (1876-1916) Mervyn Peake (1911-1968) William Golding (1911-1992) Brian Aldiss (1925-2017) J.G. Ballard (1930-2007) Ramsey Campbell (1946-?) Octavia Butler (1947-2005) Neil Gaiman (1960-?) China Miéville (1972-?) These authors really speak to me deeply and I treasure their stories. This is based on their overall body of work. I very nearly swapped out Emily for Oscar Wilde because her output is so low but she is too talented for me to leave off. I would say either Wuthering Heights or Great Expectations subjectively speaking. They are not perfect love stories and the couples are flawed but I doubt any real couple isn’t. Of course I feel I have never in my life really loved someone romantically as I have never met anyone with whom I feel I can properly connect so I doubt I have much author on this. Thanks. If if you don’t enjoy lots of purple prose and lots of descriptions you might struggle with enjoying them. They’re a slow burn. Also even among people who love the trilogy the 3rd one which is my favourite is always considered by far the worst one but I love it. My favourite poet is Emily Bronte. I believe eve that she was uniquely gifted and the fact that her life was cut short is a topic I think about a lot. Also some of the poetry by her sister Ann is very good. A powerful American poet for me is Robert Frost. His talent seems to defy classification for me. Hi I’m a boring 20 something student of History. I’m from England and I’ve always been a reader. I have aspergers and my special interest has always been books and authors. I have a huge list of authors including their nationality and birth and death dates that I have to keep under my bed at all times. The list starts with Hesiod and goes up to Helen Oyeyemi. My favourite genre is possibly horror even though I will read any and all genres. Im a huge fan of Steinbeck, Ramsey Campbell, Octavia Butler, Mervyn Peake, William Golding, Charles Dickens, Emily Bronte and Neil Gaiman. I would like to work in a bookstore store but my social skills and aspergers has made getting a job impossible for me so far. I read because I want to be taken away from where I am and I have always found it a way to ease the pain. I also read poetry and history. 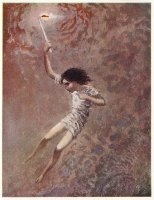 My favorite book of all of all time is Titus Alone by Mervyn Peake.